Photokina 2018, the world's leading trade fair for photography, video and imaging, held from Sept. 26th to 29th in koelnmesse, which gather 191,000 enthusiastic visitors, 983 satisfied exhibitors to join this Exhibition. 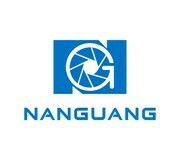 This year, Nanguang booth was at Hall2.1, Stand D-031g. Now, let’s have some review for Nanguang at Photokina 2018. This time, the most attractive area is our RGB area-----Pavolites tube and RGB series. Our pavolites tube have many kind of functions all in one, can easily to create some special effects in your shooting. And it’s also convenient for outdoor shooting for the version that built in battery. For ou RGB lighting kits, compact size, portable use. Provide the professional soft/hard/color lighting. Satisfy your different kinds of demands. This time, NANGUNG new COMPAC studio series----the upgraded version from COMBO series was the first time shows at the show. Softer but much brighter. And this time it was our first time to invite two photographers and models to make the workshop at the show. We also very enjoy the dinner with our distributor at the second day of Photokina show. We hope next Photokina show there could have more distributors join our Nanguang international big family !Thank you so much for all of the distributors from all over the world. Here we would like to express our gratitude for all your trust and support. Nanguang has been trying our best to do it better in the future. 2018 photokina was ended successfully and hope next year we can meet each other again. See you at photokina at May 2019!